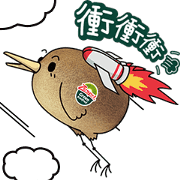 Home » Zespri International Ltd. These Zespri kiwifruits have transformed into cute animals. Watch with glee as they bring you unexpectedly warm dialogue straight from the heart—and lots of positive energy to your friends!